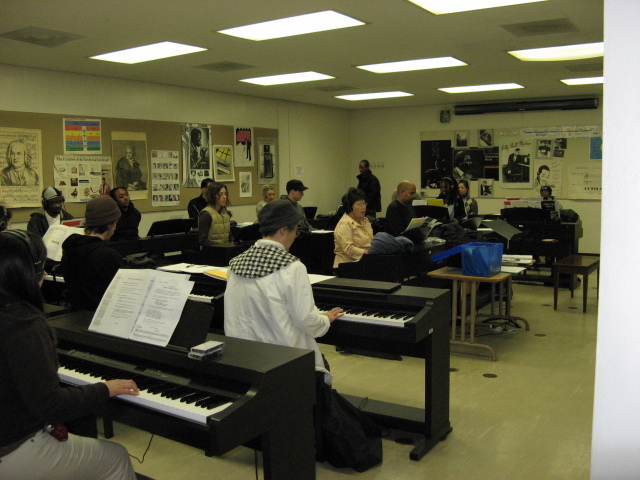 Our electronic piano lab allows for in-depth individual and group instruction. In addition, there are practice rooms with acoustic pianos available for use by Laney music students. Elementary Piano Method I-IV (Music 130-133) A course recommended for music majors and non-music majors interested in acquiring basic piano skills. Focus is on: 1) reading and performance of rhythm and pitch notation. 2) basic keyboard technique to develop physical ease and facility at the piano. 3) beginning stages of skill development for: * progressing to intermediate piano; * laying a foundation for thorough and practical study in the field of music; * a lifelong enjoyment of piano playing. Intermediate Piano Literature I-IV (Music 134-137) A course recommended for music majors and non-music majors who have successfully completed Elementary Piano or have the equivalent background. The course includes practice in scale playing, rhythm, chord playing, articulation, phrasing, and tone; and the direct application of these skills to the reading and performance of repertoire, which is leveled according to individual students ability. Study of form and keyboard history is directly applied to the interpretation of repertoire. Students play both solo and duet repertoire. Intermediate students may also sign up for beginning piano (if space is available) and work at a more advanced level. 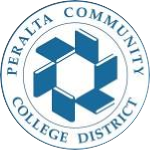 Consult with individual teachers about class policy. Jazz Piano (Music 138-141) In the Jazz Piano Class, students learn the fundamentals of how modern jazz pianists play chords and improvise melodies. The class is aimed at beginning and intermediate piano students. Beginning students must have at least a rudimentary understanding of the piano keyboard (one semester of Elementary Piano, Music 38, is recommended). Jazz theory is discussed along the way including: chord symbols, jazz voicings, ii-v-I chord progressions, and jazz scales. SIGN UP EARLY AS SPACE IN THE PIANO LAB IS LIMITED!! !